Hiring people to help get your store up and running can put a significant dent on your budget, so if you can manage to take care of things on your own (or with the help of your family and friends), then by all means, do so. 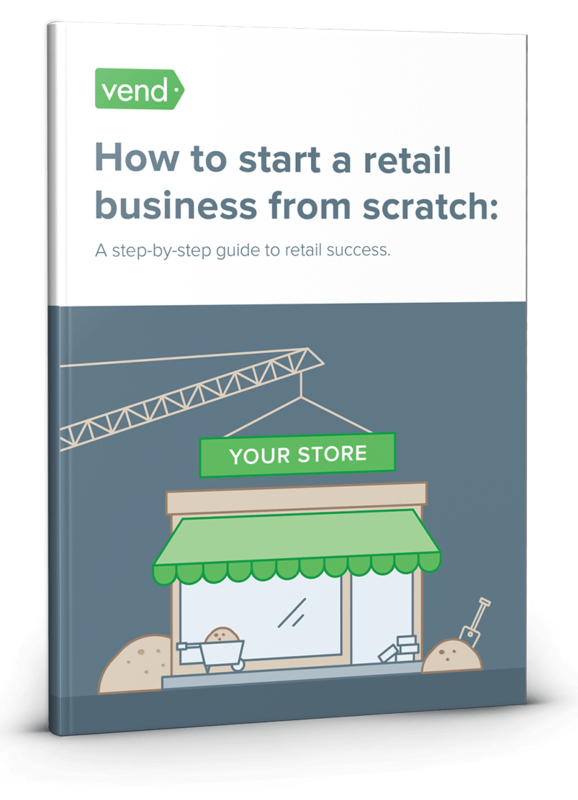 When starting and running a store, you’ll likely need to hire two kinds of people: those who will help you build it (i.e. general contractors) and those who will help you man it (i.e. sales associates). When looking for contractors or builders, your best bet would be to ask people in your network. It’s costeffective, and you’ll end up working with people you actually know and trust. If you personally know anyone who can give you a hand with your building and design needs, get in touch and see if you can work out an agreement. Case in point: Phil of The Heritage Kitchen Garden. He was fortunate to have a brother who was a builder, so Phil was able to seek his help in setting up the cafe. Phil used his experience in a cafe project he worked on in the past, and his brother provided input on materials and construction. They did everything themselves, and together were able to build and design a quaint cafe that Phil (and his customers) loved. If you don’t have direct connections with builders and designers, see if you know anyone who can refer to you to the right people. Turn to your friends and relatives who had some work done in their house or business then ask them about the contractors they hired. Another option is to use Google and sites like Yelp, Angie’s List, or Trade Me (New Zealand) to find contractors. Read their reviews, look at the photos posted by users, and contact the ones you like. It’s best to pick someone who completed projects near your store’s location because they would likely have sufficient knowledge of any permits and regulations in your city. Carefully review each of the bids submitted by the contractors and see to it that they cover everything you want done. These could include construction, landscaping, plumbing, as well as the clean up of the site. Compare the scope of each bid along with their estimates so you can determine the best price. Get in touch with their references. Ask to see pictures or even head to the stores that they worked on so you can get at first-hand look at what they’ve done. Make sure you’re doing business with someone who has all their legal requirements covered. Ask for each contractor’s license number as well insurance certificates for worker’s compensation, liability, etc. Your store staff is just as important as your products, so choose your workers wisely. Before scouring for new employees though, you first have to determine your needs. For one, is it really necessary to have extra sets of hands in your store, or can you manage on your own? If hiring is a must for you, how many employees do you need? What would each person’s roles, hours, and responsibilities be? According to Retail Doctor Bob Phibbs, retailers shouldn’t hire too many part-time employees. “While most retailers think they should hire lots of part-timers to maximize their flexibility, that often means you have more employees who are disengaged from your brand’s success. That’s because if they are working two, three, or four jobs, they don’t have the time to settle into your culture,” he writes. You should also craft a job description detailing the employee’s duties, as well as the skills and qualifications required for the role. Get in touch with friends, relatives, and professional colleagues and see if they could refer anyone who would be a good fit for your store. Tapping into your own network for referrals is not only inexpensive, it’s also the most effective way to find and keep potential hires. Research has shown that referral candidates are easier to hire and have better retention rates compared to candidates who came from other sources. LinkedIn has excellent recruitment tools that’ll enable you to find, vet, and contact candidates. Start by entering a relevant job title into the site’s search box, and LinkedIn will generate a list of members who match your search. View their profiles then check their experience, recommendations, and skills. If they have potential, send them a message. Another option is to post listings on job sites such as the NRF Job Board, Craigslist, CareerBuilder, Monster, Seek/TradeMe etc. The biggest pro of using these services is that they can put your listing in front of thousands of job seekers. One downside is that you’ll likely get tons of responses so you’ll need a lot of time (and patience) when sifting through applications. After reviewing resumes and profiles, create a shortlist of people who seem like a good fit for your business, then schedule interviews to determine if they’re as good in person as they are on paper. It’s important to stay organized and pay attention to details at this stage. Make a list of the questions you need to ask and take notes so you can objectively evaluate each person at the end of the process. The candidate has the necessary education and/or training required by the position. The candidate has prior work experience that is related to the position. The candidate demonstrated to your satisfaction that he/she had the necessary technical skills to perform the job successfully. The candidate demonstrated to your satisfaction that he/she had the necessary leadership skills to perform the job successfully. Communication: articulated ideas clearly both written and orally. Demonstrated the ability to be customer-focused. The candidate expressed interest and excitement about the job. Demonstrated the ability to design innovative solutions and solve problems. List an additional skill specific to the job you are filling. Ideally, you should conduct the interview in your store so you can take a walk with the applicant on the sales floor and see how they interact with your merchandise, other staff members, and customers (if you’re already up and running). See to it that the candidate has a realistic idea of what it’s like to work for you. Make it clear that you’re a startup, and be honest about the demands of the job. For example, if the position requires that employees wear a lot of hats, or stay late every now and then, be upfront about it so you’re both on the same page. Also have your business partners or advisors conduct interviews. Business consultant Amanda Taylor says this will allow you to get multiple perspectives and vet an applicant more effectively. “You can do this by creating an interviewing team,” says Taylor. “Usually this will be comprised of the people this candidate will be interacting with the most. Brian Drescher, a former retail operations and category manager in the retail grocery and specialty industries, recommends that interviewers role-play with candidates by pretending to be customers. “You learn quite a bit and get to see if they were friendly or standoffish,” he added. Get in touch with your personal and professional contacts. Tell them you’re looking for people to help you out in your store, then ask for referrals. If necessary, search for prospects on LinkedIn and/or submit job postings on career websites. Evaluate resumes/applications then schedule interviews with qualified candidates. Meet up with candidates (preferably on-site) and start interviewing. Use the assessment template provided above to take notes. If possible, have other people (advisors, managers, investors) interview candidates so you can get different perspectives. Contact the references of each applicant to get more insights into their qualifications, experience, and work ethic. Make a decision based on the information you gathered above then formally send an offer to the person (or persons) you want to hire.